Lucas Lumbra plays for Ohio State’s Overwatch team. These teams are just one part of the University’s comprehensive new esports program, which also includes an innovative curriculum to guide students to careers in the industry, as well as medical research to study the brains, bodies and behaviors of esports athletes. 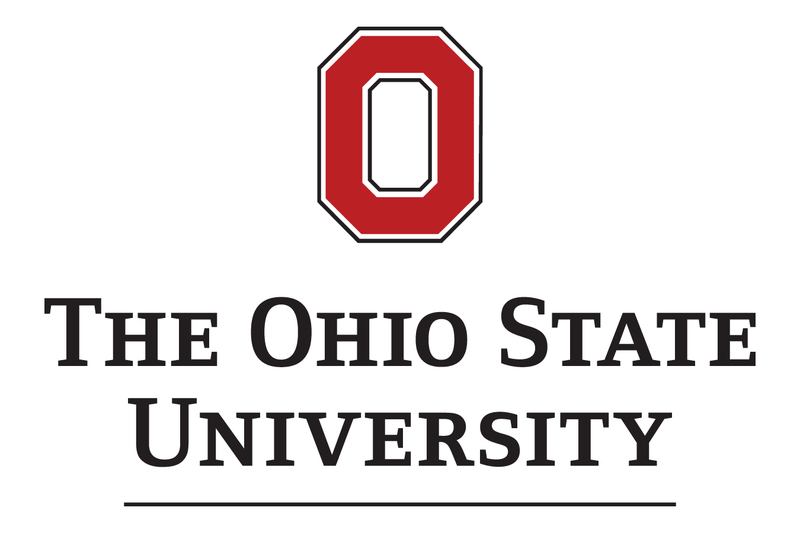 (COLUMBUS, Ohio) – The esports industry is growing quickly, and The Ohio State University is committed to staying on the cutting edge of development, forming the most comprehensive esports program to date. The campuswide collaboration brings together academics, collegiate competition and medical research to give students as many opportunities as possible to be a part of the booming industry. 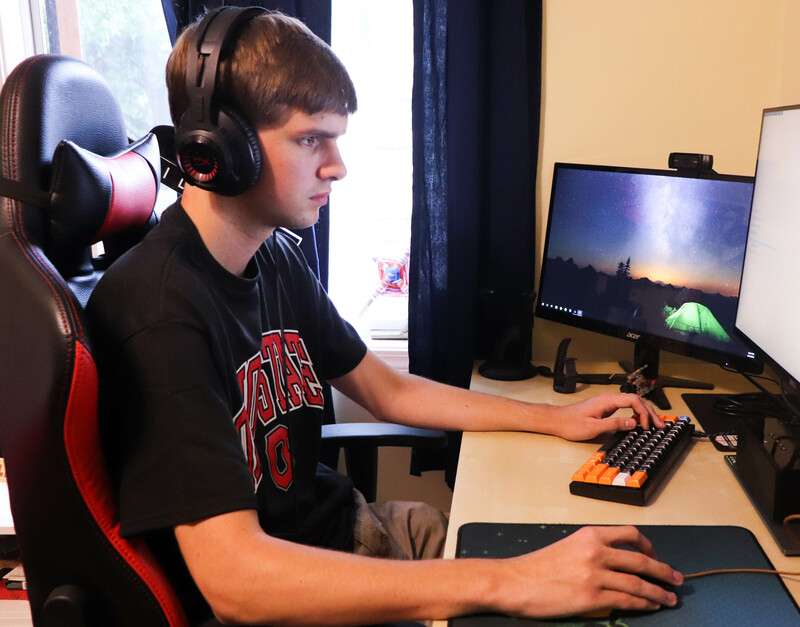 “With Ohio State being a leader in engineering, academics, research and medicine, it seems a natural fit to pull all of these together to support the esports program,” said Deborah M. Grzybowski, co-director of the game studies and esports curriculum development and associate professor in The Ohio State University College of Engineering Education. The new interdisciplinary curriculum is developed to give students diverse career opportunities in all aspects of esports. New undergraduate majors in game studies and esports will offer classes across five colleges in disciplines such as coaching, business management, marketing and game development. A state-of-the-art arena is being built on campus by the Office of Student Life that will be home to Ohio State’s esports teams. The teams will compete with other universities in a newly-formed league commissioned by the Electronic Gaming Federation. 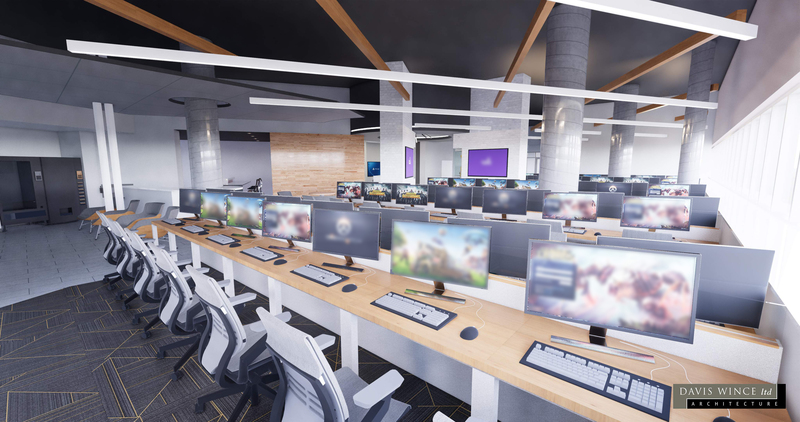 “It will include over 80 seats with computer, console and virtual reality systems, as well as a broadcast booth for students interested in shoutcasting,” said Grzybowski. The arena will also be available to the entire student population to connect with other gamers in person as well as virtually, allowing them to integrate into a global community of esports gamers. 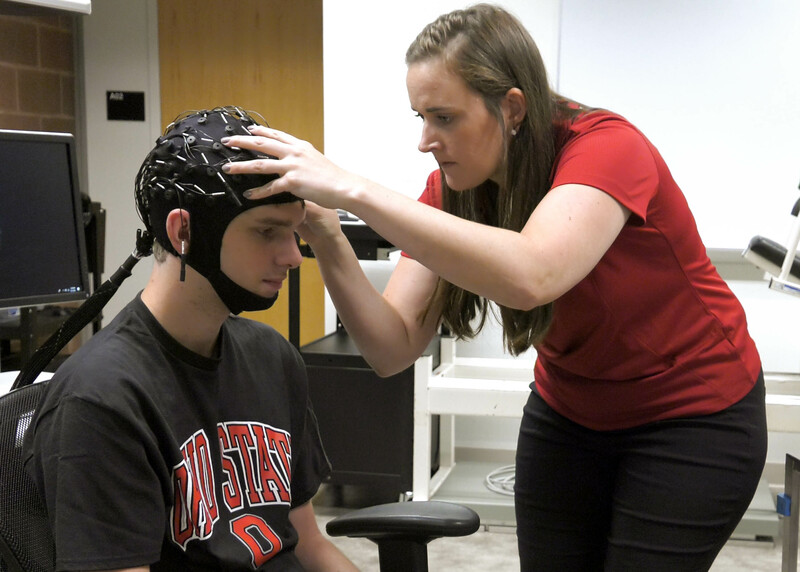 In collaboration with the campus initiatives, researchers at The Ohio State University Wexner Medical Center are the first to study the relationships between the brains, bodies and behaviors of elite esports athletes, exploring the best ways to keep them healthy and performing their best. 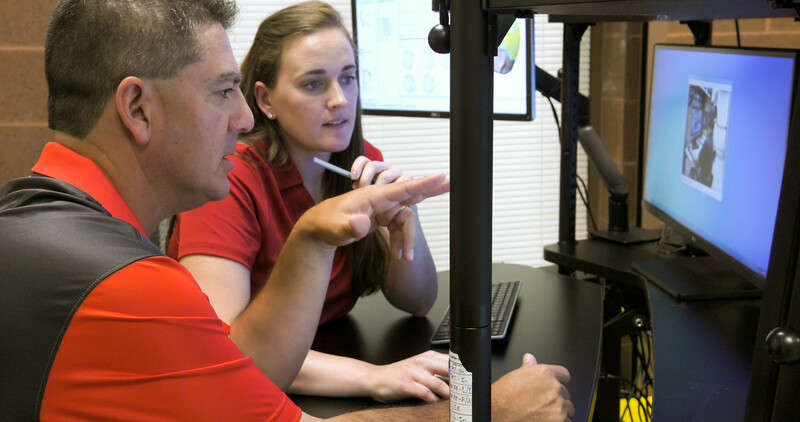 The results of these studies will help individuals and teams optimize and sustain high levels of performance through assessment, analysis and augmentation. 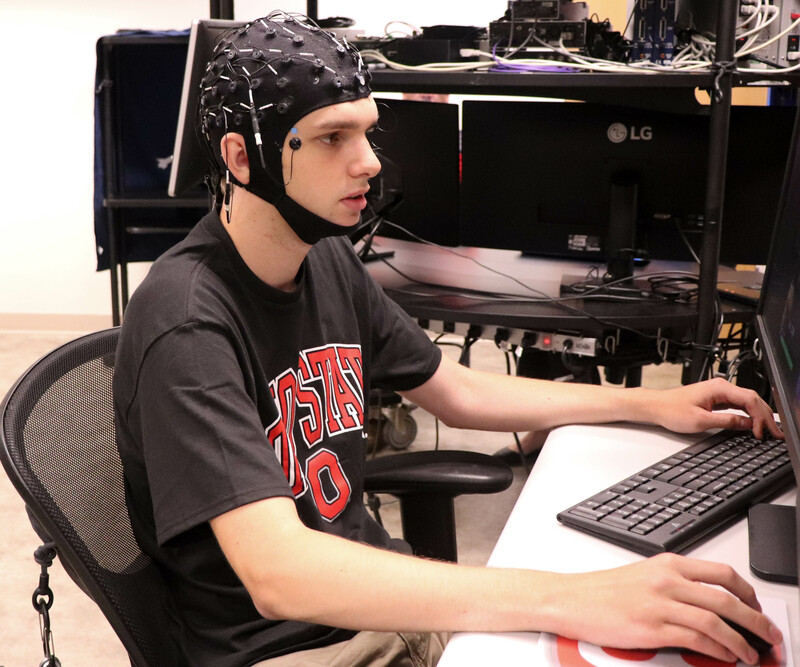 Lucas Lumbra plays a video game while wearing an electroencephalography, or EEG, helmet. 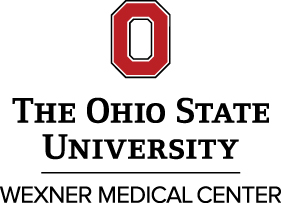 It allows researchers at The Ohio State University Wexner Medical Center to examine brain activity and identify the unique cognitive attributes of esports athletes. James Onate reviews the brain activity of an esports athlete in real time. It’s one of several tests used to examine the cognitive, physical and behavioral characteristics of elite esports athletes. A state-of-the-art esports arena on The Ohio State University’s campus will feature the best computer, console and virtual reality games and systems. It will be home to Ohio State’s new esports teams, and will also be available to the entire student body. Lucas Lumbra (left) is fitted with an electroencephalography, or EEG, helmet. Electrodes in the helmet measure his brain activity as he plays a video game to help researchers identify common cognitive characteristics of elite esports athletes. James Onate (right) observes an esports athlete during a cardiac stress test. He is leading an initiative at The Ohio State University Wexner Medical Center to examine the brains, bodies and behaviors of athletes who excel in esports. 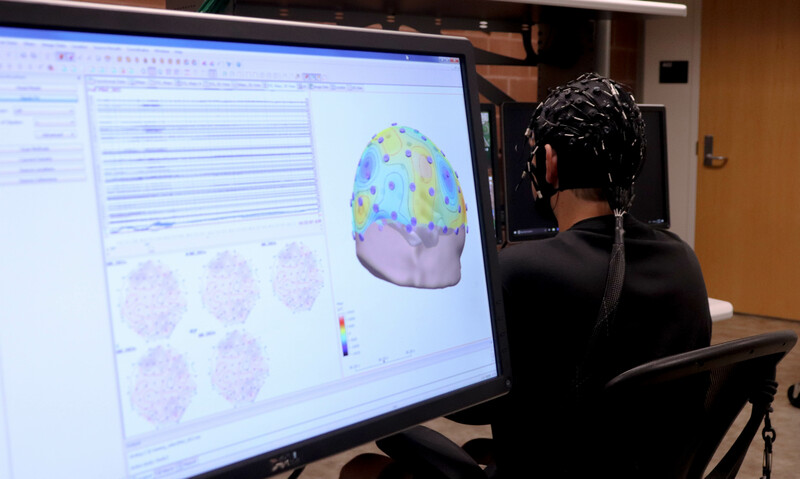 An EEG helmet measures the brain activity of Lucas Lumbra as he plays a video game. Esports athletes undergo a series of tests at The Ohio State University Wexner Medical Center to identify the characteristics that help them to excel in the sport.